With its uncompromising technology, reliability and self-contained architecture, Honeywell's LYNX Plus is an easy-to-install security system. The L3000 LYNX Plus unit is a combination control panel, keypad, siren, dialer, two-way voice system and speakerphone in one. It offers full Contact ID alarm information to AlarmClub's central station via TELCO, internet, or 3/4G GSM communications using the built-in TELCO communicator or the optional 7847i-L or GSMVLP-4G AlarmNet communicators. The AlarmNet 7847i-L internet alarm communicator, GSMVLP-4G cellular GSM alarm communicator, LTE-L3A cellular AT&T LTE alarm communicator and/or LTE-L3V cellular Verizon LTE alarm communicator install easily inside the LYNX Plus alarm control panel with no additional equipment needed. 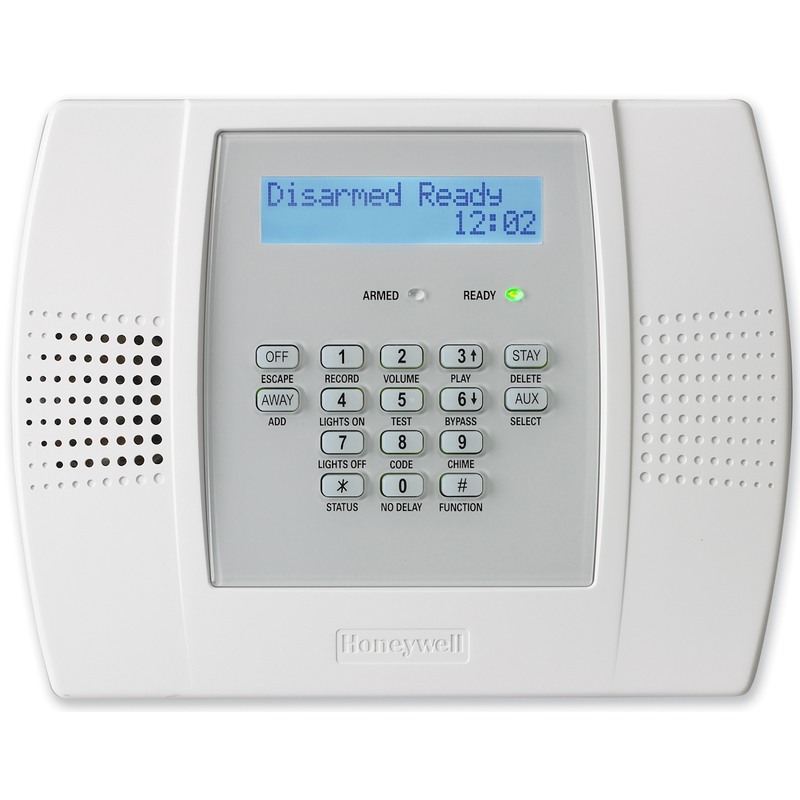 The new AlarmNet alternative alarm communication options give you the flexibility you need. The all-in-one integrated design of the LYNX Plus combines the installation flexibility for every job with the proven reliability of Honeywell's technology. The voice annunciations of system status and alarm conditions helps you better understand your home security. The L3000 LYNX Plus alarm control panel supports all Honeywell 5800-Series wireless devices. The LYNX Plus alarm control panel should be mounted in a central location to maximize the range to each of your system devices. It should also be placed inside a closet or laundry room for extra security. We recommend using a separate keypad for system function, either the 5828V wireless talking keypad or the 5828 wireless keypad. Make sure to have an open outlet nearby when mounting, as the control panel is powered by a plug-in transformer.